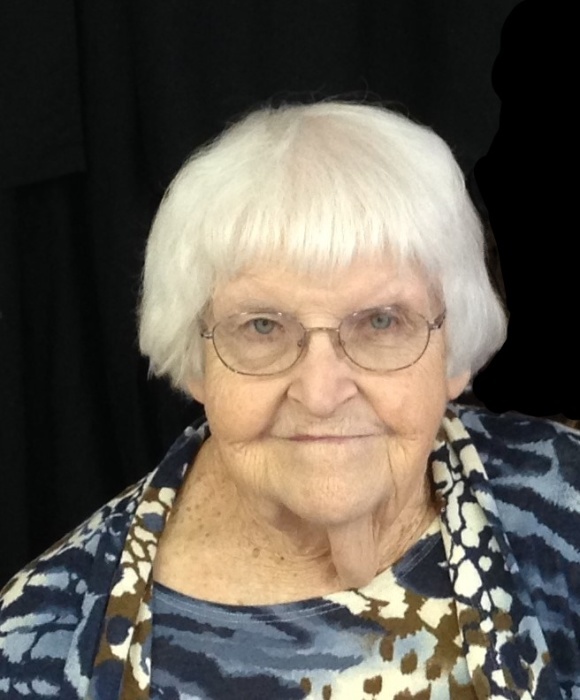 Thelma A. Harshbarger, age 94 of Bradford, passed away Saturday, March 31, 2018 at Reid Hospital Hospice, Richmond, IN. Thelma was born in Darke County on February 17, 1924 to the (late) Harve & Sarah C. (Wise) Mann; a graduate of Gettysburg High School, Class of 1943; retired with 15 years of service as Head Cook at Bradford Schools; formerly worked at Robbins & Meyers, Piqua and NCR, Dayton; attended the Pilgrim Holiness Church, Bradford; past member of the West Milton Senior Citizens Club, was a 4-H Advisor for 42 years; and a member of the Towne Squares Quilt Club, Greenville. Some of Thelma’s hobbies were doing ceramics, knitting, crocheting, quilting; and she was famous for her homemade noodles. Preceded in death by her parents; husband, Dean L. Harshbarger in 1993; two brothers, Everett & Gerald Mann; and six sisters, Eva Hart, Elsie Oler, Edna Ormsby, Norma Jean Thomas, Esther Morgan, & Helen Mikesell. Thelma is survived by her son and daughter-in-law, Gene & Nancy Harshbarger of Bradford; daughter and son-in-law, JoEtta & Kent Hess of Pleasant Hill; six grandchildren, Amy Jo Harshbarger of Bradford, Christopher Michael Harshbarger of Covington, Kenneth Gene & Debra Harshbarger of Bradford, Beth Ann & Jeff Marshal of Bradford, Kendra Sue Hess of Pleasant Hill, Shawnda Rae & James Hess of Troy; 12 great-grandchildren, Samantha Jane Harshbarger, Cade & Gray Harshbarger, Mitchell, Andrew, Benjamin & Anna Grace Harshbarger, Bailey, Hannah, Abbey, Jenna & Nate Marshal; twin sister, Velma Ingle of Bradford; numerous nieces, nephew, other relatives and friends. Funeral Service 10:00 AM Thursday at the Stocker-Fraley Funeral Home, Bradford with Pastor John Shelton officiating. Interment Miami Memorial Park Cemetery, Covington. Visitation will be 5-8 PM Wednesday at the funeral home. In lieu of flowers, contributions may be made to Hospice. Condolences may be left for the family at www.stockerfraley.com.